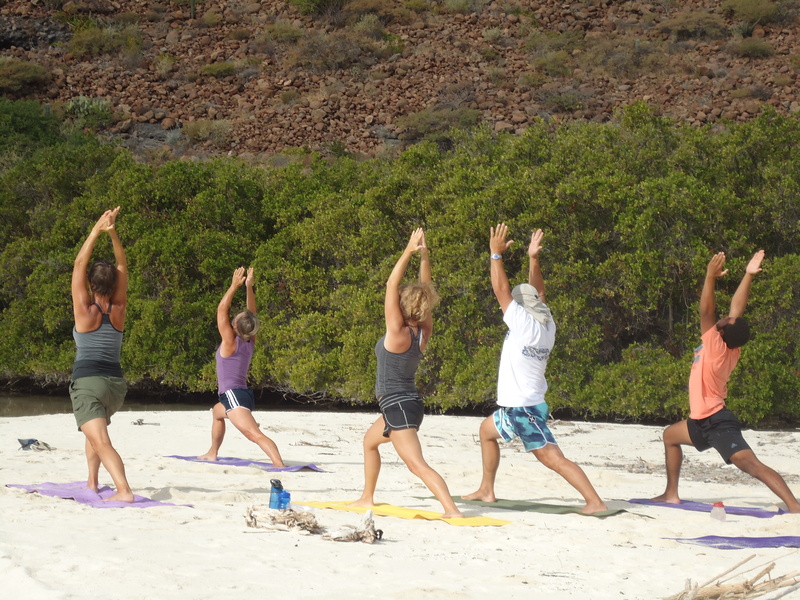 I had six students for yoga this morning. One student, Sue, from Ali Oop brought a jar of homemade jam to show her gratitude. And Peter thought I could never make any money at this. I tortured them for about an hour and soon after we left Ensenada Del Candelero for Ensenada Grande. This cove is home of a Blue Footed Booby rookery. 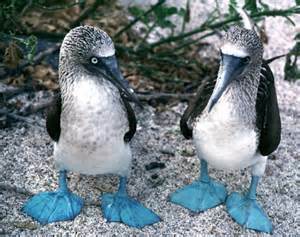 The blue footed booby is characterized by its blue feet, long sharp bill, white belly and dark brown wings. They fish, like pelicans, by diving from 10 – 15 feet above the water, beak first, like a bullet into the ocean. Those guys are sooooo cute!!!! !